In October, the members of the Dream Big Campaign received an award from the Hennepin County Attorney’s Office as part of the office’s 17th Annual Community Leadership Awards Program. 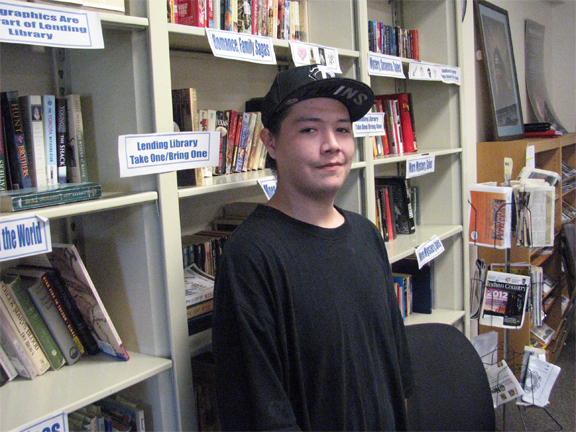 The Dream Big Campaign works to improve school attendance by Native American children. Dr. Tim Zuel, program manager for the county attorney’s be@school truancy program, said in his introduction that one of the keys to its success is that when a child has 10 or more days of unexcused absences, there are weekly attendance review meetings with the child and parents. Besides people from the be@school program there is one other critical person. Elaine Salinas, executive director of MIGIZI Communications, said the Dream Big Campaign arose from brainstorming sessions from a group of people in the Indian community who meet every two weeks as the Phillips Indian Educators. Besides Salinas, those honored included Louise Matson of the Division of Indian Work; Braden Canfield, Christine Wilson and Anna Ross of Minneapolis Public Schools; Mika Barrett of Anishinabe Academy, and Joe Beaulieu and Maurissa Bigjohn of Little Earth. ( By Deborah Locke) Bonnie Wallace, Fond du Lac Reservation Band member, received an Honorary Doctorate of Humane Letters Degree from the Minnesota State Colleges and University System in May. 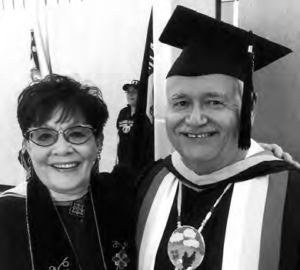 She is shown here with Fond du Lac Tribal and Community College President Larry Anderson who presented the degree at the college commencement. Bonnie was recognized for her 43-year career in higher education as an advocate for American Indian students. She founded and served as director of the American Indian student support program at Augsburg College, and then served as Fond du Lac Band scholarship director until her retirement in 2012. The Leech Lake Band of Ojibwe has received a grant that will be used to build a new community center. The $250,000 grant, awarded by the Shakopee Mdewakanton Sioux Community, will help fund the construction of a new center in Onigum, Minn. Onigum is about 35 miles south of Cass Lake. “It’s been a long road and we’re very happy that we have finally reached this point. 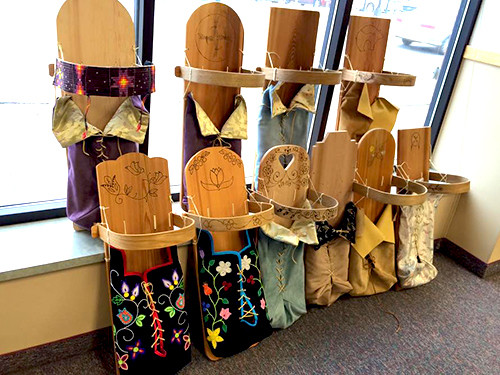 Our outlying communities feel like they have been neglected over the years and it is a great feeling to bring this new gathering space to our band members,” said Faron Jackson Sr, Leech Lake Band of Ojibwe chairman, in a press release. The center will include an indoor basketball court and locker rooms, saunas, a kitchen, clinic, office space and elder space, as well as classroom space.